LAS VEGAS--(BUSINESS WIRE)--Design SHIFT has announced it is working with Intel to use Intel’s 6th Gen Intel® Core™ M7 vPro processor in its groundbreaking privacy appliance, ORWL. This small circular device uses two-factor authentication—a physical key and a password— along with tamper-proof physical hardware to protect a company’s sensitive information and communications from being physically hacked. The device was showcased at CES UNVEILED on January 4th. ORWL includes a revolutionary failsafe kill-switch never before offered to the IT Security marketplace. Any attempt to break into ORWL prevents the device from booting up and shuts it down immediately. The 6th Gen Intel® Core™ M7 vPro processor provides the following essential hardware-enhanced functionality to the ORWL device, which assist all of the major aspects of security: identity and access management, data protection, anti-malware, and system resiliency and recovery. Most importantly, if the ORWL device is tampered with or any physical breach is attempted, it prevents the device from booting up, instantly helping to secure all of the user’s data and communications. 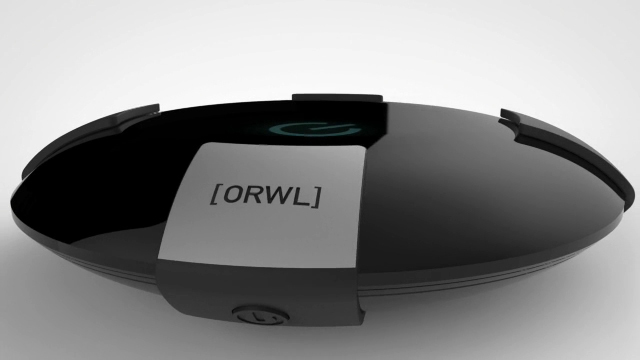 The ORWL device is slated to ship in Spring of 2016. For more information, visit www.design-shift.com. Design SHIFT is a Menlo Park-based product design firm founded in 2009 with the simple idea that with passion and focus, small teams can deliver breakthrough products on a global scale. The team simplifies complex systems, prototypes quickly, designs with mass production in mind, and builds beautifully designed products with durable form factors and long-lasting value propositions. Learn more at www.design-shift.com. ORWL introduces banking industry physical security to the PC. It implements two factor authentication with an NFC key and a password to access the 6th Gen Intel Core Computer during normal operation.